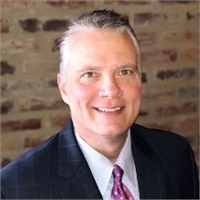 Eric has worked in the financial services industry since 1987 and over time has developed a passion for helping individuals and families prepare for retirement as well as creating customized income strategies for those who are already retired. As a registered representative with LPL Financial and with years of consulting and advising clients in these areas, Eric has the experience to provide our clients competent and independent professional advice. As a registered principal and financial advisor with LPL Financial, Eric holds several securities registrations, as well as numerous insurance licenses. A native of Jonesboro, Louisiana, Eric received his Bachelor of Science degree in Finance from Louisiana Tech University. He and his wife, Kerri, reside in Alexandria with their two sons, Connor and Ethan.